A citizens’ assembly is a new form of democracy which allows to make decisions at a city, national or even at the international level. A citizens’ assembly is a randomly selected group of residents according to the demographic criteria such as gender and age. It constitutes a city or a country in miniature. 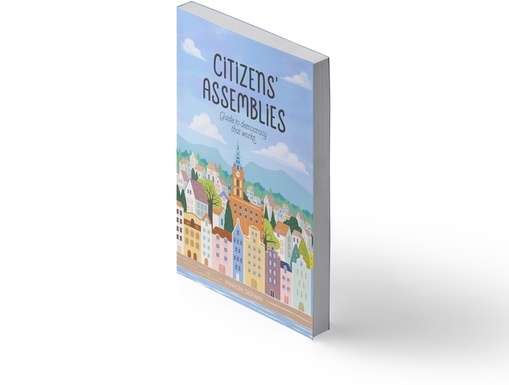 A role of a citizens’ assembly is an in-depth analysis of a given issue, a deliberation over different solutions, hearing of the pros and cons, and then, making informed decisions. Marcin Gerwin’s guide is a step-by-step presentation of how to organise a citizens’ assembly, with the primary focus on the city level. High-quality decisions developed with involvement of citizens. Common good is at the heart of the process. Decisions are developed by an independent group of citizens, thanks to the process of random selection. Decisions are made after learning about the issue and listening to people with diverse perspectives. The process includes deliberation phase and consultations with experts. High level of consent for decisions made – at least 80 percent support of the citizens’ assembly. The process of organizing a citizens’ assembly encourages institutions and organizations to search for solutions and to prepare their recommendations. New possibilities and solutions may appear thanks to the nature of the process, which involves presentation of a wide range of views and perspectives. It is a transparent way of making decisions.